After missing her at this past SXSW, I couldn't pass up the chance of catching Samsaya perform her very first show in Los Angeles. Bardot's School Night concert series is becoming the place to be Monday nights. 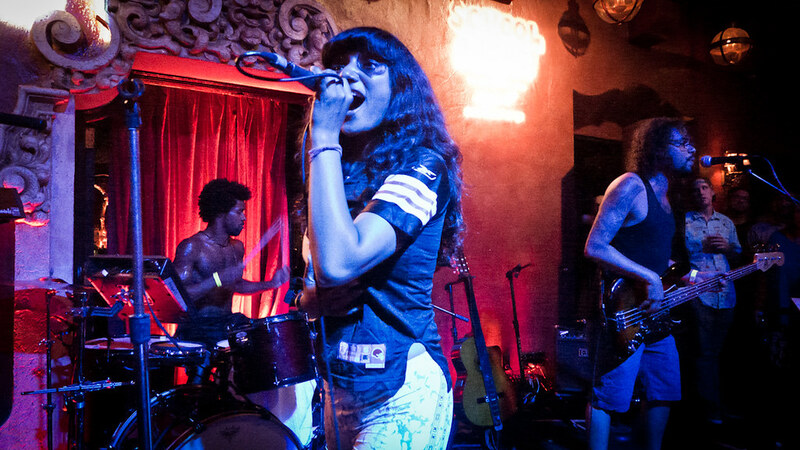 This night, Samsaya brought the house down in front of a packed house with her funky-beat-driven, electro-dance songs launching into the explosive "Bombay Calling." The confined and small stage could hardly contain the Indian-born Norweigian Singer. Surronded by fans on all sides, Samsaya paced back and forth like a dangerous tiger on the verge of attack. She was on tour supporting her recently released self-titled EP (via BMG) that echoes her Bollywood heritage and her love of hip-hop and pop. It's a fusion of all the music she grew up with and when you listen to how she melds all the genre's together it's catchy as hell and will be hard to get out of your head. "Good With The Bad" is one of her simpliest and infectious tunes melodically but it showcases her powerful vocals. During "Jaywalking" she led the venue to sing along with the chorus and if you haven't heard her single "Stereotype," which she closed her set with, then you're probably missing one of the best songs of the summer.